The Beautysleep® Collection mattresses all feature a high performance coil system along with memory foam and luxurious fabrics for a unique sleeping experience. Every night on the Beautysleep® Firm mattress leaves you feeling refreshed and ready to tackle the day ahead. 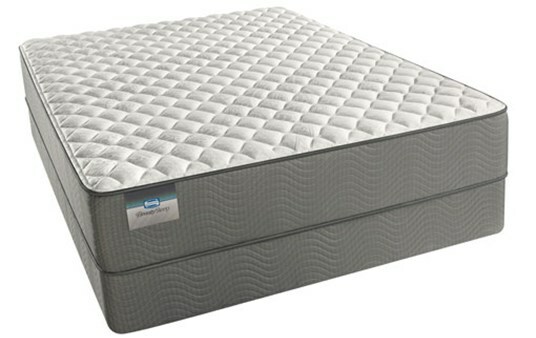 The heavy-gauge coil system features in this collection allows for strong back support all throughout the entire mattress, concentrated where you need it most and promote motion separation. Think Comfort, Support & Durability – Think Beautysleep® by Simmons®. SurfaceCool™ Fiber - Designed to move heat away from the surface of the mattress to help maintain an ideal sleeping temperature. GelTouch® Foam - A soft gel foam that provides soothing comfort with exceptional surface contouring and conformability. 725 Density Wrapped Coils - Helps deliver conforming back support.